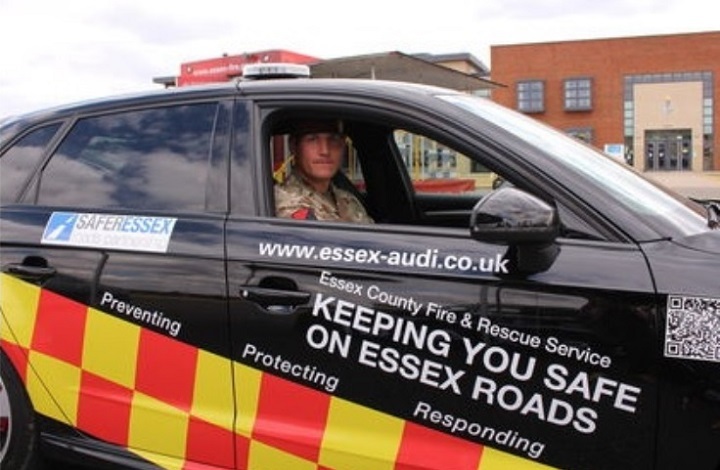 Gavin Ellis, Essex County Fire and Rescue watch manager, said: “The event was organised to raise road safety awareness to soldiers returning from duty – to give the troops an understanding of what impact their behaviour on the road can have on other road users. Got to say we have a barracks close to us and its on a country road with a 60 mph speed limit and some cars that are driven on it sometimes give me shivers. Fast!!!!!! right up behind you or overtaking on bends, some of them blind and then they turn into the barracks. I sometimes think that the drivers have a death wish.